Everyday Independent Insurance Agents provide valuable client services from new policies to expert service and claims advice and handling. Talk to Independent Agent Insurance representatives and experience the feeling of being properly insured. Get quotes from multiple companies anytime, right here through our web site! 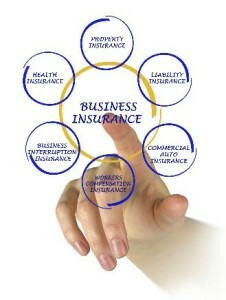 We enjoy insuring most any risk that you could bring to us. We offer personal and commercial insurance by phone, online and through independent agents. Independent Agent Insurance makes all the difference. People have been relying on Independent Agent Insurance for decades to provide accurate and timely advice on peoperly insuring what they own and care about. Once you experience the difference a caring professional makes, you may not want to call large insurance company direct call centers and buy from people licensed less than one year. Our average agent has ten years experience with some as much as 30 years of service helping people like yourself. These same people will assist you by explaining you options, maximizing all discounts and provide excellent service on your policy. Independent agents typically are very well trained and knowledgeable of the complexities of the insurance market and insurance law. Since independent agents work with multiple companies they can find you the best quotes on home and auto insurance packages and find the best commercial or business insurance available. So if you are searching for Personal or Business insurance, Independent Agent Insurance representaives are free to shop multiple providers on your behalf. Customers enjoy saving money while using some of the country's best Independent Insurance Agents.